Renmark Homes built my home in 2013-2014. I found Sam and the team to be very friendly, very flexible and very patient. During the quoting phase, Sam (Bernardo) was very interactive in seeking clarification and providing alternatives to the inclusions and materials I was wanting. It was clear from the outset that he was customer focused as he was genuinely interested in our needs. Building a house can be one of the most difficult periods that a couple can go through and it is not without issues and tension. A sign of a good builder is how he deals with these and, to this end, Renmark homes always worked to address the issues quickly when they arose. During the course of construction, my wife and I always felt part of the Renmark team and that we were working towards the same objectives which was to build a quality home. Renmark Homes completed construction and, at handover, my wife and I were given keys to a quality product that we are very happy with. I've recommended Renmark Homes to others and am happy to continue doing so as the honesty and integrity displayed by Sam and his team are rarities in this modern world. We met Sam in 2013 and knew he was going to be our builder before he walked out the door after our first meeting. Being it was our first time building a large project we relied on Renmark's experience and guidance to see us through. This they certainly proved over and over! They were available to us any time we needed them and many times it was phone calls with Danielle at any time of the day! They went beyond our expectations in what we preconceived a building company would be. I would say that being family owned, they have not only immense pride in what they do, they also form close relationships with their clients. This gave us a huge sense of security and knowledge that they were working "with" us. I have often given verbal testimonials to others looking at building and confidence Renmark Homes will deliver beyond expectation, every time! After looking at many custom builders, I selected Renmark Homes to build my new home in Pascoe Vale. Before, during and after the building process I found Sam, Danielle and the team at Renmark Homes to be very helpful and professional. They listened to what I wanted from my new home and delivered a great result. The workmanship was of a high standard and it was clear from the very outset the high level of industry knowledge and expertise that rests with Renmark Homes team. I am very happy with the outcome and would certainly use Renmark Homes again. This is our second build with Renmark Homes. 15 years ago my husband and I appointed Renmark to purpose build our home to accommodate a young family. Novices at the time, the Renmark team guided us through each step, with expertise and efficiency. The craftsmanship in our house proved to withstand the test of time, as each and every one of our friends and family continually commented on its durability. Now on our second build (to accommodate adult children), it's Sam and the team that we turned to once again. It's so lovely to see the same faces working together even after all these years. Renmark Homes integrity and honesty has played a big part in their longevity in the industry. As we outlined in our article about finding the right builder in Melbourne, an important part of the process is looking at testimonials and reviews for Melbourne builders to see how well the builder has worked with their clients to produce the end result; your beautiful, luxury home. Renmark homes is proud to have a 5 star rating and reputation for providing architecturally planned, built homes and dual occupancy homes. Above are just some of the great reviews we have received through Houzz. If you're ready to talk about how we can build you a custom new home or dual occupancy home then call us on 1300 367 245. At Renmark Homes, we know you'll be glad you had us take you through the process. 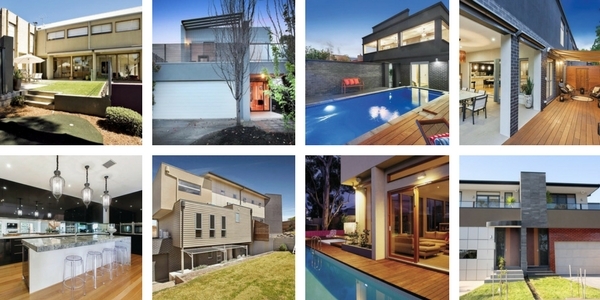 Renmark Homes has been building luxury homes for over 25 years. We specialize in building Architecturally designed homes that are single storey, double storey or even triple storey, dual occupancy homes and mansions. It takes a builder with experience to build a custom designed home. We have built stunning homes on difficult blocks and narrow blocks, we know land and we know how to build. We'd love for you to leave a testimonial so others can have confidence to select us as their preferred builder for the Melbourne area.